What can fictional religions tell us about real religions? Are constructed religions just as valid as ancient ones? What about real-world religions based on fictional ones? One impetus for creating constructed religions is for use in jurisdictions where religious activity is imposed by the authorities – but people often find that their joke religion then takes on a life of its own. Three of my favourite fictional religions were invented by Ursula le Guin: The Telling, the religion of the ki-O, and the religion in Always Coming Home. The Telling is very similar to Taoism, and is practised on the planet Aka, which was recently discovered by the Hainish. Sadly, the Telling is being violently suppressed by a new regime. It consists of various meditation practices, stories and legends, traditional herbs, and is being studied by an anthropologist in the story. Its system of symbol and story is vast, confusing, labyrinthine, and sometimes conflicting. The religion of the ki-O is described in passing in the story “Mountain Ways” in the anthology The Birthday of the World. It appears to consist of philosophical discussions, readings, and reverence for water, and doesn’t seem to have any deities, though there are household shrines. Its ‘priesthood’ consists of travelling scholars. The ki-O people are unusual in practising a four-way marriage called a sedoretu. The religion in Always Coming Home is particularly focused on the Napa Valley in California, and its flora, fauna, and geology. It shows how a localised nature religion could develop, with houses and clans and symbols and stories. It is loosely pagan, indigenous, and autocthonic, with overtones of Taoism. My other favourite fictional religion is the Minbari religion from Babylon 5. The Minbari believe that the universe is sentient, and every form of life is the universe made manifest: a projection of the universal soul. They believe that the universe is engaged in a process of self-examination and a search for meaning, and experiences itself through the perspective of individual sentient beings. They also believe in reincarnation. There are a number of aspects of Minbari society that I dislike (its caste system and the rulership of the Grey Council), but the religion is really interesting. Real-world religions have been established based on the Jedi from Star Wars, the Bene Gesserit from Frank Herbert’s Dune, Earthseed from Octavia Butler’s Parable of the Sower, and the Church of All Worlds from Robert A Heinlein’s Stranger in a Strange Land. The Church of All Worlds is a very successful religious organisation based on the fictional group of the same name. CAW was founded in 1961, and despite some ups and downs, continues to exist. Its highly influential publication, Green Egg, was very important for the development of the North American Pagan Revival, especially prior to the Internet becoming generally available. The Jedi in Star Wars are based on Taoism to some extent, as the Force is equivalent to the Tao (and this is especially apparent in the film The Last Jedi, where Luke Skywalker describes it as the energy that holds everything together). Jediism is loosely based on the Jedi in Star Wars and has 21 tenets. Similarly, there’s a manual dedicated to creating the Bene Gesserit order, but I have no idea how many people have actually done the training described in it. In Dune, the Bene Gesserit are frequently described as “witches”, and they practice the Wyrding Way. One of their more effective rituals is the Litany against fear (which has been much paraphrased and parodied). The Earthseed religion from Octavia Butler’s Parable of the Sower sounds rather like process theology. I haven’t read any of Butler’s work – I really must get around to it. It has been formed into a new humanistic pagan religion. My only criticism is the idea that we must settle other planets. For a planet to be capable of being settled, it would have to have life on it already. If it has life on it already, how do we know it is not capable of producing sentient life like us? Surely we don’t have the right to disrupt the development of that life? And we really ought to learn to care for this planet and live within our means on it, without threatening other species with extinction. Formal syncretism (e.g. Ryōbu Shintō) could be argued to be a constructed religion, although it is an amalgam of two existing religions; so could the syncretistic Dīn-i Ilāhī religion by the Mughal emperor Akbar. Neither of these sycretistic religions has any adherents today, although Ryōbu Shintō influenced other schools and traditions. Dīn-i Ilāhī never had more than 19 adherents. It might be unfair to describe the Otherfaith as “constructed” as it seems to be developing organically and discovering new gods as it develops. Ehoah is another new Pagan tradition started by Rua Lupa, and incorporating ideas from the Reformed Druids of North America and Anishinaabe teachings (Rua is a Metis from the Lake Abitibi area in the Boreal Forest of Canada). It is “a naturalistic endeavour to ensure all the connections we make within Nature are harmonious. It is developed as an open ended framework that can be integrated into any philosophy or belief system”. Dudeism is based on the lifestyle and wisdom of the Big Lebowski. It also regards Taoism as its spiritual ancestor. An excellent choice, dudes. Their manifesto is basically to “take it easy, dudes”. Dudeism has its own holidays, ordination, and wedding ceremony. It’s pretty well-developed, and their website claims that there are 350,000 Dudeist priests around the world (I guess they have a database). Cullenism is based on the world of Twilight and the values of Edward Cullen and other vegetarian vampires. Tanya Erzen writes, “while Twilight won’t replace organized religion, it reflects a longing for sacred and extraordinary experiences in everyday life that are perhaps missing in traditional religious venues”. Probably the most successful joke religion ever has to be Pastafarianism, or the Church of the Flying Spaghetti Monster. Personally, I honour all types of pasta, not merely spaghetti. The “Flying Spaghetti Monster” was first described in a satirical open letter written by Bobby Henderson in 2005 to protest the Kansas State Board of Education decision to permit teaching intelligent design as an alternative to evolution in public school science classes. In the letter, Henderson demanded equal time in science classrooms for “Flying Spaghetti Monsterism”, alongside intelligent design and evolution.After Henderson published the letter on his website, the Flying Spaghetti Monster rapidly became an Internet phenomenon and a symbol of opposition to the teaching of intelligent design in public schools. Pastafarianism is legally recognised as a religion in New Zealand and the Netherlands. 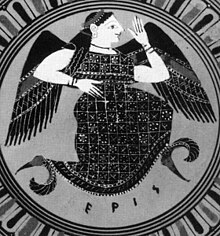 Also worthy of note is Discordianism, the worship of the goddess Eris, which was started as a parody religion, but has some excellent ideas. It was inspired by the Illuminatus trilogy by Robert Anton Wilson. It has a well-developed philosophy and mythology, and several texts. It is based on the story of Eris throwing the Apple of Discord inscribed “To the fairest”, which eventually caused the Trojan War. Constructed religions, whatever their origins, suggest that there is a need not filled by pre-existing religions, and offer new ideas, stories, and rituals. Many of them focus on environmental concerns. Parody religions perform the very important function of preventing religion from taking itself too seriously – but if they are well-constructed, they often put people in contact with the numinous and the sacred anyway. If it looks like a religion, behaves like a religion, and performs all the functions of a religion, then it’s a religion, whether you approve of it or not. If it connects people with the sacred and the numinous, provides community, and has a system of shared meaning (however daft it seems to other people), then it’s a religion. If you enjoyed this post, you might enjoy my books, Dark Mirror: the inner work of witchcraft and The Night Journey: witchcraft as transformation. When does a joke pretending to be a religion become a religion pretending to be a joke? It’s a fascinating part of the new religious movements phenomenon. Indeed. And that’s not to begin to cover the various Druid Revival movements, which seem to have been inspired by decidely dodgy history, romantic poetry, and nicking ideas from the Freemasons! If we wish to study what needs new religions are filling that old ones do not, we have to ask what questions the old religions are not fulfilling in a satisfactory way. Joseph Campbell was fond of saying that the dominant myth today is based on a people that lived long ago and far away (Long, long ago in a galaxy far, far away… – not a coincidence!) Simply put, the myths of that culture not longer serve thus, we are creating, and in some cases recreating myths that do serve us.Yet, the elementary ideas (as Bastian would define that term); the basic questions, are the same. The one difference I do see between old myths and ones being created, is that so far (to the best of my knowledge) the new myths have fewer wars – maybe because those emerging mythologies haven’t been around long enough, or maybe there is another reason…. Re: Scientology. If I’d covered all the possibilities I could’ve written a whole book on it, so I only did my favourite ones. Re: Campbell and Star Wars. Yes Lucas definitely cited Campbell as an influence. And people are always creating new mythology (but seem to want to make it look more valid by claiming it’s old). There is intolerance but it’s drawn on different boundaries – and fortunately there are plenty of tolerant and inclusive people out there. Probably not enough room uin one blog post, but there are also religions for fictional gods. I believe there are a few worshippers of Yog-Sothoth, for example. I wouldn’t be the best person to write about that, though, not being a fan of the Lovecraft mythos. In this blogpost, I was mainly focusing on religions with a broadly p/Pagan ethos. The (very lovely and much lamented) Stratford Caldecott once wrote, in Secret Fire, that worshippers of Morgoth were “pagans” and I emailed him to disagree, because Pagans (and pagans) do not worship evil entities. Thus began a very enjoyable correspondence (I hope he enjoyed it as much as I did). I’ve read some interesting blogs in the past by chaos magicians who’ve done workings with the elder gods of the Cthulhu mythos, because as symbols go, they have resonance and power (reminding us of our smallness in the face of the cosmos etc.). I am a Lovecraft fan, but don’t think I’d go quite that far! Cusack, Carole M. 2010. Invented Religions: Imagination, Fiction and Faith. Aldershot: Ashgate. Cusack, Carole M. 2011. Discordian Magic, Paganism, the Chaos Paradigm and the Power of Imagination. International Journal for the Study of New Religions 2 (1). Culture to Religion. Abingdon, Oxon; New York: Routledge. Possamai, Adam, ed. 2012. Handbook of Hyper-real Religions. Leiden: Brill.